When we originally designed Crime Network, it was built around its own set of mechanics and didn’t use the network system. Intended to capture the paranoia and carnage of life in the mafia, the damage rules were quite lethal with most weapons far exceeding a typical character’s hit points. So while it was possible to graze foes you always had a stronger chance of gunning them down. When we shifted Crime Network to the Network system, I believe some of this was lost. Don’t get me wrong, the Network system is a great engine for gritty and lethal games, but it falls short of the kind of lethality I wanted in my mafia campaigns. Generally speaking there is usually a chance of killing someone provided you roll tens, but it isn’t the more likely outcome. This is why we added in the optional rule for Open Damage when we wrote Horror Show. Because the longer I played Crime Network, the more I kept thinking back to how the old system made every gunfight a potential bloodbath. For this reason I recommend everyone adopt the Open Damage rule for all damage rolls in Crime Network. Using this method you count all successes on damage. This is a good way to elevate the stakes and make mob hits a bigger feature of the game. Not only does it raise the chances of killing foes outright but it increases the likelihood of doing multiple wounds in a single shot. Another approach, which I personally like, is to treat any 10 result on damage as a kill. This is clean, doesn’t require counting up successes and means any shot has kill potential. In practice this means a small pistol (which does 2d10 damage) has about a 19 percent chance of killing someone at range. At point blank the chance rises to about 27 percent. A heavier gun, like a magnum or shot gun, has a 27 percent chance at range and roughly 34 percent chance of killing at point blank. I strongly suggest using these options (or even combining them) if you play Crime Network. The Secret of Actium is close to complete. Well, the first draft is nearly complete. It turned into a very large investigative adventure, basically taking the kind of stuff we've been doing with modules like The Patriot Incident and Operation Hydra to the Servants of Gaius setting. So fans of Terror Network will recognize our investigation format when they read the Secret of Actium. So far I am impressed with our efforts. We playtested the adventure twice before writing a single word. Now that we have everything on paper we intend to let our advisers take a look and help us reshape it for accuracy before moving into a second playtest phase. After this we will try to gather enough readers to vet for inconsistencies or problems in the text itself (something that is pretty critical with any investigative module). I don't want to give too much away but I will tell you what I can. The module should be 50,000 to 55,000 words total, which means about 112 pages in 8.5" x 11" format. This is a departure from our previous modules, which have mostly been between 20,000 to 35,000 words and published in 6" x 9" format. So the adventure will be longer and a bit easier to reference due to the page size. In terms of content there is a lot. We treat adventures of this kind as one part setting and one part adventure. So even if you never run the investigation itself, you can still use the sections on key cities and regions in your campaigns. For me this is critical. I like modules that serve as models and provide setting details. Don't get me wrong, the investigation itself is incredible, I think we have really hit on something exceptional here, but sometimes you just want to leaf through an adventure for ideas and interesting locations, and this will serve that purpose as well. Again, I really don't want to give too much away, but I can state the adventure starts with a murder in Rome and grows from there. The players can investigate the city for clues, track leads that could lead them far to the ends of the empire and face dire threats along the way. And like all our other ivestigations, this isn't on a track, the players can investigate however they want. As of this moment we have just a bit more writing to do before going into the next stage of development. I hope to release some previews along the way. Role-playing games are often misunderstood by those who don't participate in the hobby. One accusation we see leveled is it's a frivolous (at best) or dangerous (at worst) form of escapism. There seems to be a tacit assumption in this attack that if you are gaming it is because some other part of your life is incomplete or problematic. Personally I think there is nothing wrong with spending a few hours a week pretending to be an elven bard on the run or a dungeon delving dwarf. I did so for years as an enhancement to a fairly well balanced life, not as escape or to fill a gap. So I don't want this article to be seen as an argument that RPGs are about escaping from your problems. Rather it is about how RPGs can be a source of diversion from them when you do happen to run into stressful or uncomfortable episodes. That does not mean it is the primary purpose of role-playing games. I recently read a blog by a cancer patient who praised D&D for helping him during a frightening and grueling illness (here is a link: http://canceranyone.blogspot.com/2012/02/dungeons-and-dragons-reason-to-live.html). This inspired me to write about my own experiences with gaming and illness. In the past I have addressed my health on the Bedrock Blog, but I want to get a bit more specific, as I think it is useful for other people who may be in the same situation. A little background. I have been a gamer most of my life, from about 1986 to the present. The moment I played my first RPG (which I believe was the Robotech Role-playing game by Palladium, but it has been ages so not absolutely certain), I was hooked on the hobby. It was like a bolt of lightning to the brain where I realized you don't need a TV screen or video game console to have fun. My high school years were spent between music, school and gaming. I ran and played in countless campaigns during those years, but I also always had other things going on. Generally I have been a pretty active person with a range of interests. Music and playing musical instruments have been a large part of my life. An interest in history and movies another. Staying physically fit and active were also high priorities. Prior to getting sick I had been extensively involved in martial arts like boxing, kick boxing and taekwondo. Most weeks I ran 3-5 miles every other day and in between those days I would lift weights. Much of my social life revolved around the martial arts gyms I attended. I earned a degree in history, found work as a writer and got married to the love of my life. In all, I think I had a very balanced and complete life. And I liked nothing better than to unwind once a week by throwing down some polyhedral dice. My love of RPGs was so strong, I looked to becoming a published game writer. I had some good experiences doing this and decided to launch my own game company, Bedrock Games. 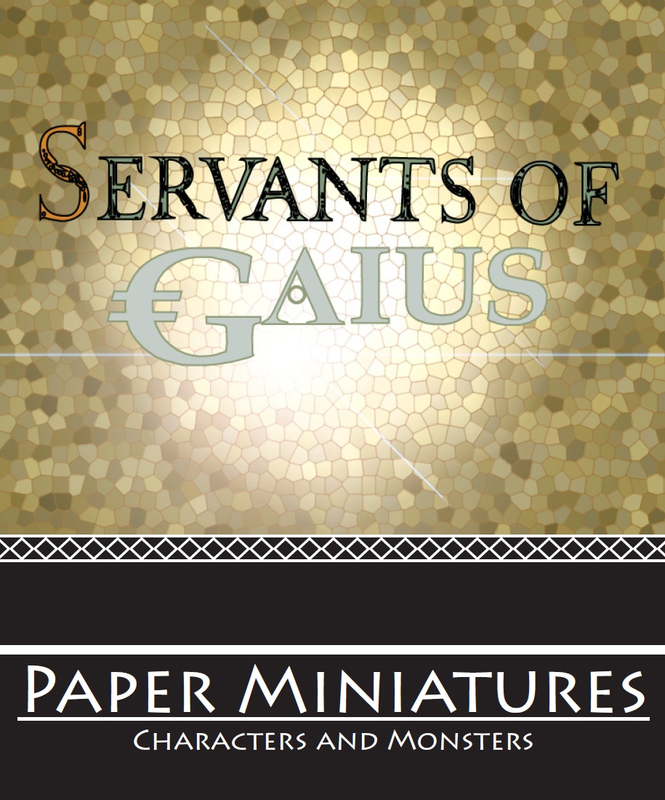 We launched in 2009 with our first game Terror Network and then followed up with modules and other games like Crime Network, Horror Show, and Servants of Gaius. I had a blast those first couple of years because we attended gaming conventions, went to stores to conduct demos and none of it felt like work at all. Sometime toward the end of 2010, I started getting sick. It began with fever and discomfort in my stomach. I kept going to the doctor and they kept putting me on an antibiotic called cipro. I must have taken six courses or more before the end of the year. The only impact this had on my life was it forced me to stop training in martial arts while I looked toward recovering. I was still able to exercise but going to the gym and training hard was out. In January 2011, as I was writing Horror Show, I became violently sick and had to go in for emergency bowel surgery to remove an abscess. I went in and the surgery went well. But the abscess came back, leading to two more surgeries. By the end of the third surgery it was clear something might be wrong but they didn't know what exactly. So I went home and rested. This was a particularly stressful period because the third surgery had gone very poorly and I was suffering from a number of medication side effects. Even had a big reaction to something they gave me prior to the operation. For the next month I wasn't able to do much so I pulled out my old first edition Dungeon Masters Guide and started reading it again. Reading that book somehow pulled me through the process of recovery. And the fact that I was so sick with nothing else to do, allowed me to truly focus on the text and see it for the first time. It was more than a diversion for me. I looked forward to reading and re-reading every day. Not content to read it once through, I obsessively poured over the passages again and again. The next six months went somewhat smoothly. I ran a second edition AD&D campaign, which had to end prematurely due to health but really helped me get through a difficult period. 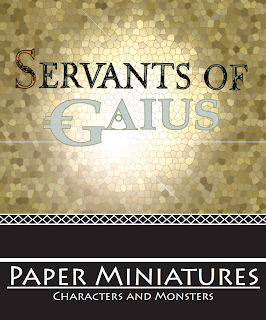 I also started work and playtesting on Servants of Gaius. This gave me something to do and helped focus my mind away from the anxiety of being sick. Though I had no formal diagnosis, I was seeing surgeon for regular check-ups as well as two other specialists. In November I developed another abscess in a different location, I also learned I had a fistula and more would form due to the upcoming surgery. In all, three surgeries and four seeton tube implants were required to deal with the new abscess. This created a very different health situation for me than the prior surgeries. Because of the tubes and the more extensive damage, I pretty much had to stay at home. Gaming at another person's house, going to a convention or doing much of anything outside was pretty much out of the question. I also learned that I had Crohns Disease. I think this article captures what it is like to have Crohns perfectly. Granted I am a bit of a newbie when it comes to the disease. I have spoken with and befriended some Crohn's veterans who have certainly endured more and might laugh at some of my complaints given what they've been through. But I would compare Crohns to a Clive Barker or David Cronenberg film. It is an awful illness that I wouldn't wish on my worst enemy. So since about November I have had a lot of difficulty doing things I am accustomed to doing. I went from being a pretty fit guy with some healthy muscle on his bones to a 120 pound gaunt of a man. All work I do has to be done from home (both for my day job and for Bedrock Games) and gaming takes place in my living room. When I do game I can't sit upright properly (and I can only do so to type for brief spurts) so I have to address my players reclined on my side like a Roman dining in a triclinium. So I have a someone contained life. Thankfully my wife is a wonderful woman who doesn't mind having me around making a mess all day. During this time gaming, reading RPG books and staying involved in RPG discussions online have all been very important to my peace of mind. Without these outlets I would probably grow quite restless. Running games in particular has been highly therapeutic for me. I think in this instance it is safe to label it a form of escape, since I can't do other things like go the gym or out for drinks at a bar. But it is a wholesome and good form of escape. I don't game incessantly, just weekly or every couple of weeks depending on schedules. I will also playtest mechanics and run through probabilities on my own during the week, but I still keep things balanced. Becoming, even for a just a few hours at a time, a Roman senator or a futuristic space explorer, really takes my mind away from the anxieties of surgery and medication. It is a hard thing to explain to those who don't play these sorts of games. I have a feeling gamers will instantly know what I am talking about. Another important outlet for me has been writing game material. Though it is harder for me to do, and it takes a lot longer, since I can't sit at the computer for hours at a time anymore, this has proved most helpful. It gives me clear goals and again provides something to think about other than my illness. And my gaming friends have also been some of the most understanding people in my life since this happened. Role-playing is also a social activity and you make friends through your gaming group. So far everyone of my players has offered to help out in different ways. In fact on of the Crohns patients I befriended, who has really helped me understand the disease and its treatments even more than my physicians, is a relative of a person in my group. I am quite grateful to have gaming in my life given what I am going through. Doubly blessed because I have my own company that helps me stay plugged into the hobby even more. While I would never label gaming high art or some kind of special road to genius, I do think its function as a form of entertainment and its secondary function of escape, is to be celebrated. I am a big believer in the very real threat of character death. For me, both as a player and GM, there is no fun unless there is also some risk, and to have punch it needs to be genuine loss of life and limb. But that is just me, one gamer in an endless sea of gamers with a wide range of sensibilities. And this fact doesn't escape me when I am GMing. While I love the thrill as a player of dodging lethal blows and facing possible death, when I run a game I recognize the preferences of the group are just as important as my own. While I do advocate for my prefered style of play, I also try to gauge the group's expectations and attitudes. It helps if the system you are using has some built in dials to help you adjust the level of lethality to the needs of your game, but a good GM knows how to make adjustements in even the most rigid systems. Everyone has a different sense of how likely character death should be and how much parity between PCs and NPCs a game ought to have. In talking with players I usually detect three key areas of measurement: appropriateness (when is it appropriate for death to occur), fairness (what level of lethality is fair to the players) and fun (how much character death enhances or harms the player's fun). It sometimes helps to go over these a bit. My default is as follows: it is appropriate for characters to die when it would be realistic for them to do so, it is fair for characters to die when the in-game events and dice dictate, and it is fun for characters to die a at any stage in the game. So I am probably on the extreme side of let the dice fall where they may, stop your whining and roll up a new guy. However when I get behind the screen, I know I can't just go full throttle with every group. So I ask people for thoughts on the subject between sessions and I explain to them how I intend to handle things. For example, if I sense that players want me to pull my punches just a bit, I will in fact do so. But I will say to them, in this game, any time a character is surprised (be it NPC or PC) we are going to use optional damage X to increase lethality a bit and make it a touch more realistic. There is a term for this in gamer circles, it is called being ninja'd. Identifying how comfortable your group is with the concept is critical. Some players expect any character caught unawares to die nearly instantly, and express dissapointment when the majority of RPG systems fail to provide this (though certainly there are some lethal systems that allow it). Other express frustration because they feel it makes the adventure too easy when players ninja critical NPCs. My own opinion is it's wonderful when the party comes up with a cool plan to take out the enemy through stealth. But this is a door that swings both ways. What is good for the goose is good for the gander so my assumption as a GM is its equally okay for NPCs to ninja PCs when they have an opportunity and desire to do so. But, as you may have guessed, I've met a lot of players who consider this unfair. They don't mind NPCs being ninja'd by PCs, but turn that around and it ruins the game for them. In these cases I have no problem pulling my punches a bit, but it is generally a good idea to make sure the entire group is in agreement on the subject if you decide to use this double standard (and it is a double standard that will disrupt disbelief for some people). There is another problem that arises here, what if you use a system or agree to use options that make instant kills highly unlikely. As an example, the network system (which is what we use in Servants of Gaius and Terror Network) has two options: closed damage and open damage. Open damage is lethal. With weapons that do 3d10 damage there is a 12% chance of dropping even the toughest of opponents (that chance rises for foe's with lower Hardiness ratings). In my own games I use open damage for any surprise attack. This means if I have a scenario where a bunch of senators are murdered by getting stabbed in the back, these are things the PCs could conceivably also do and not something I am just allowing NPCs to perform for the sake of plot. But if the players want to avoid open damage and only used closed damage (even for surprise attacks) I am more limited, because closed damage rolls are a dice pool with only the single highest result being reckoned (so typically one wound, and two on a ten result). So you have to chip away at a foe a bit (since characters in Network don't drop until they take three wounds). It also means if I have a murder mystery scenario it is a bit odd when the NPCs kill by stabbing guys in the back, but it takes the characters several rounds to do so and usually results in the target escaping. In a mixed group of players this can be a big problem because some will be totally fine with (and even expect) characters dropping like flies, while others expect the GM to wear 16 ounce gloves (instead of the standard 10-12 ounce ones). For me, ten ounce gloves are slick and fun, but 16 ounce gloves are unweildy and make slow and lumbering matches. I am sure this analogy breaks down on further inspection but I think it has some value here. This is why I like to use dials in my games. We started with this in Terror Network, by having two types of character sheets with different wound ranges. As our lines expanded we broadened this to three and started adding more optional rules for criticals and damage rolls. I think in the end, this is so specific to each group, that one size fits all is a bit tricky. It is also a question of setting as well. For instance, a D&D dungeon crawl may get frustrating if each blow has a chance to kill your character. But in a mafia setting, it is equally frustrating if you can' t kill or be killed in a single blow (at least for some people it is). Ultimately you need to decide what works best for you, then make sure you and your players are on the same page. A lot of conflicts at the table seem to arise when folks have differing expectations about lethality.